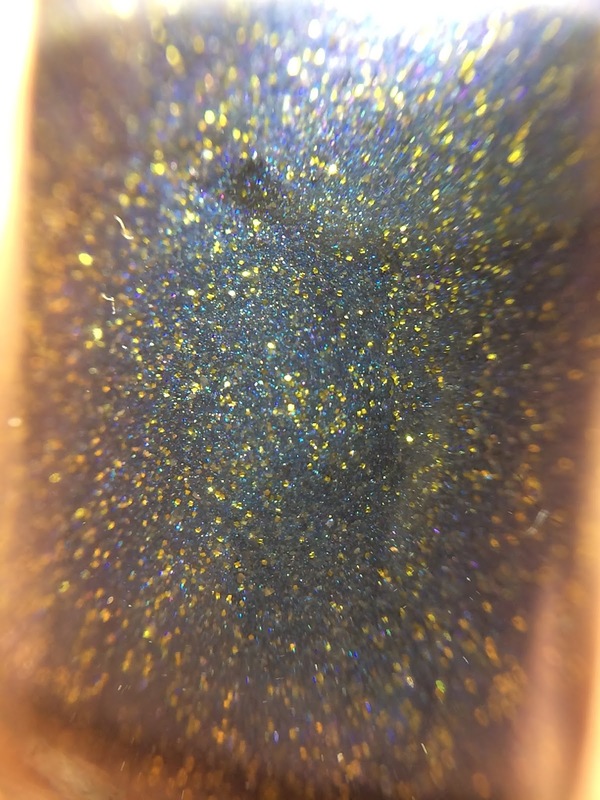 I received the following Nail polish in exchange for an honest review. 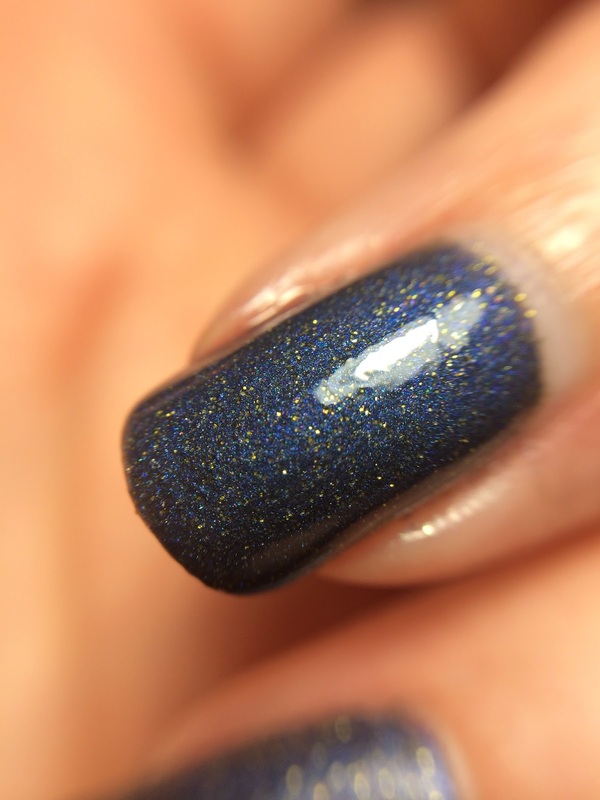 This is the 4th polish I am reviewing from Polish TBH. 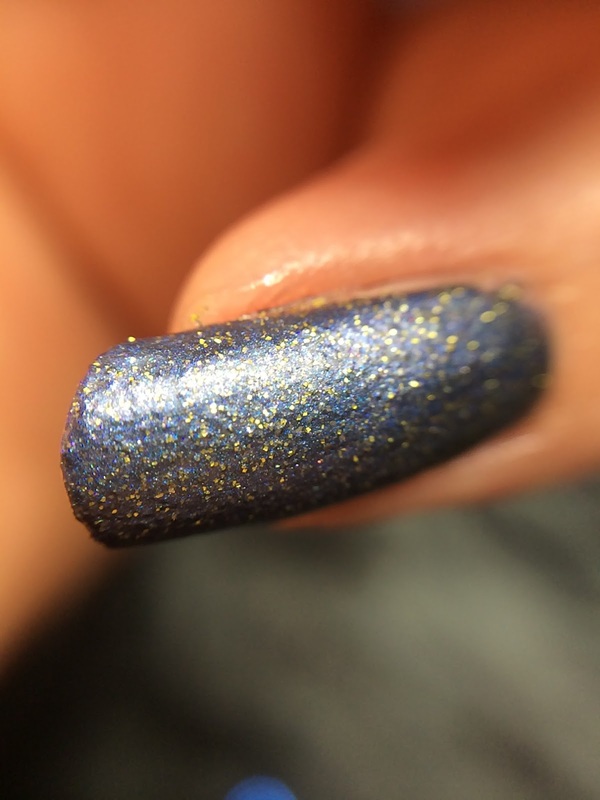 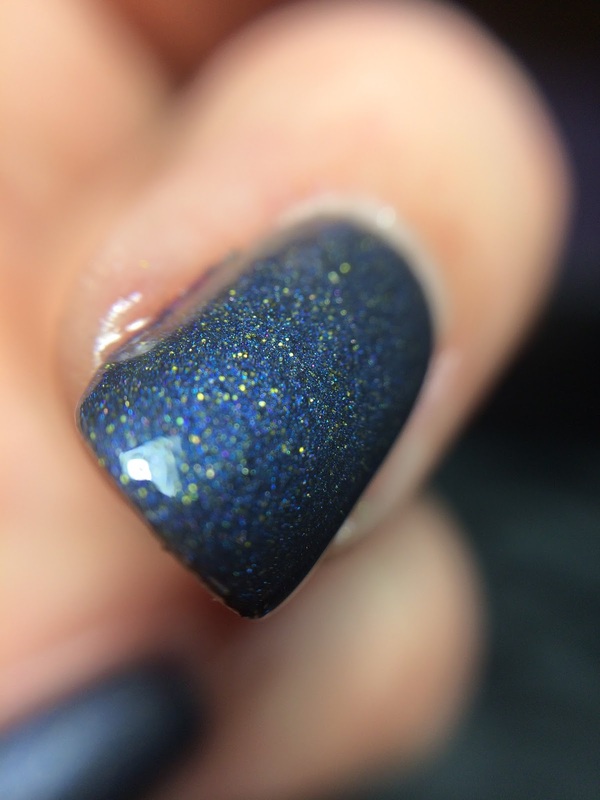 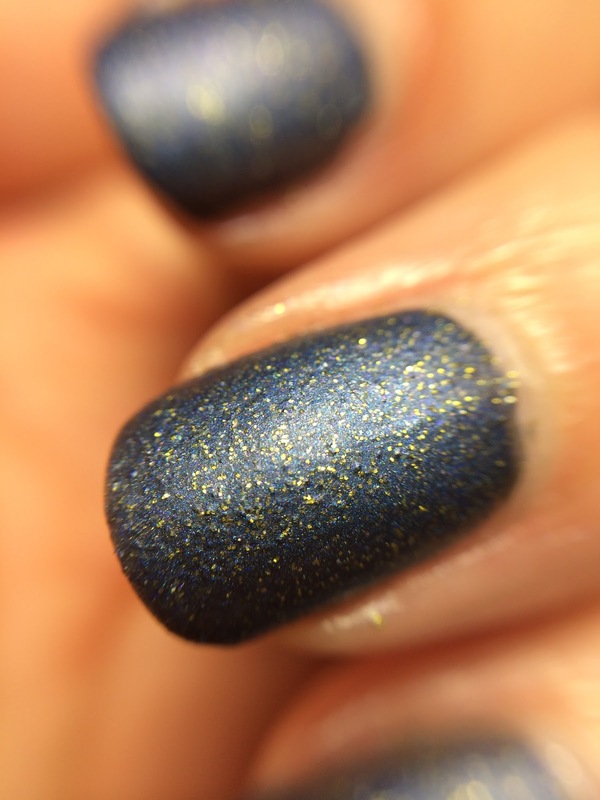 Polar express is a night Midnight blue polish with gold and navy micro glitters. 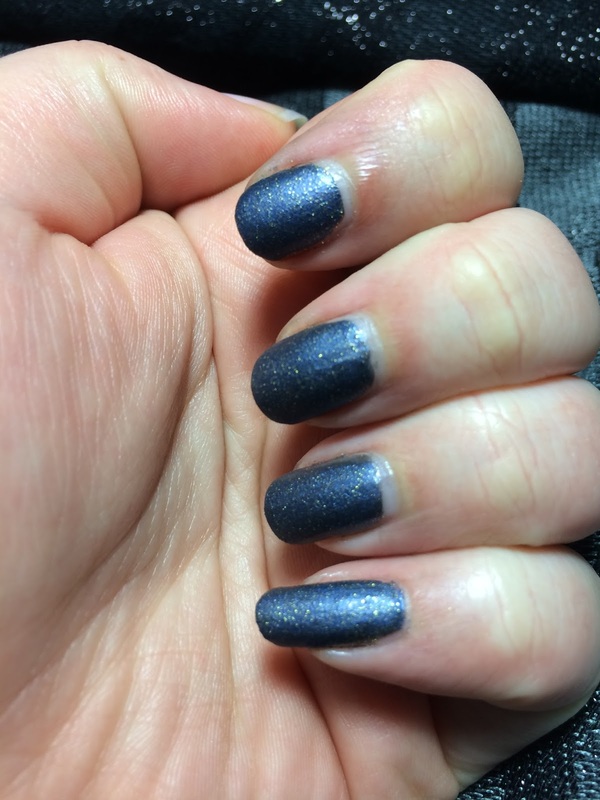 I used 2 coats both with and without topcoat. 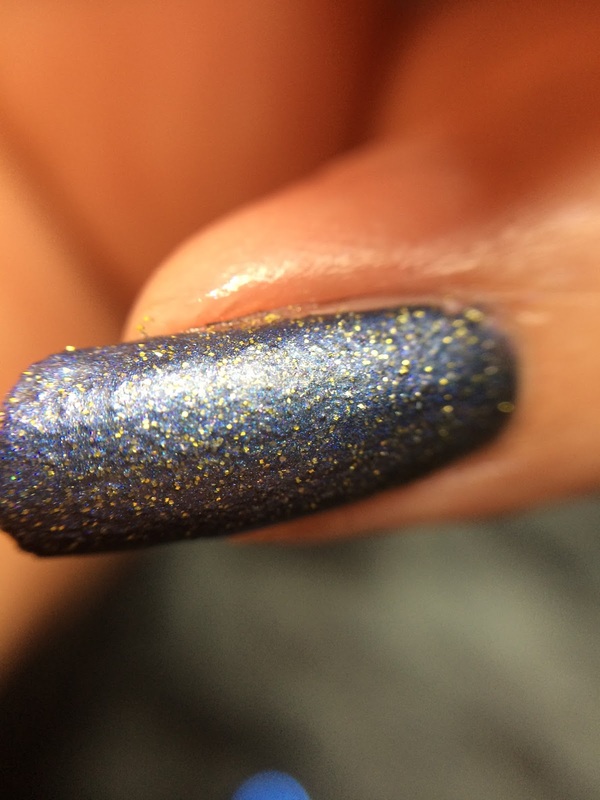 This polish dries matte and the glitters tend to rise to the top so its slightly textured. 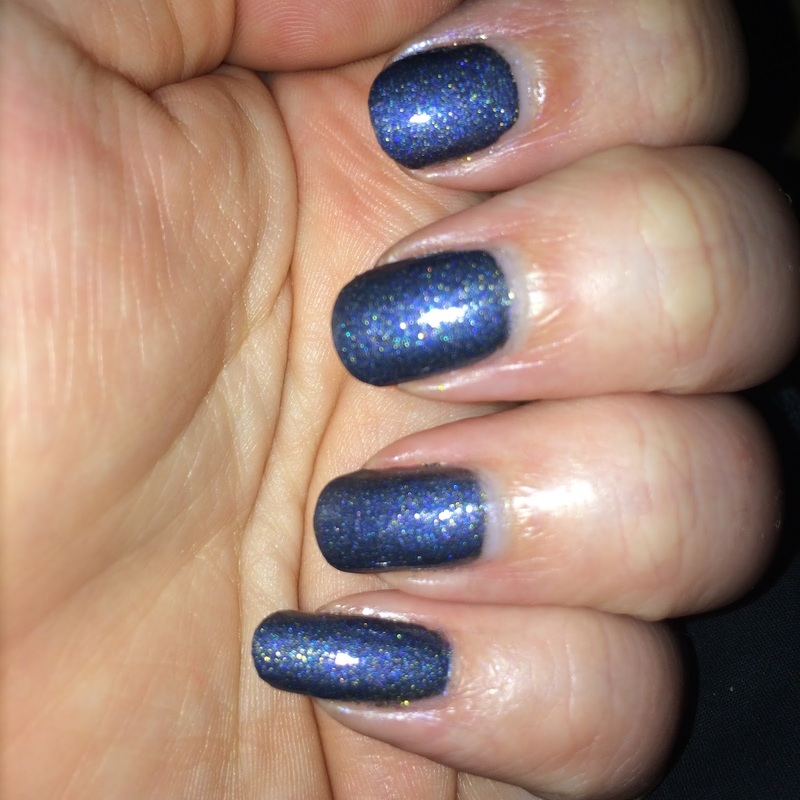 I think the topcoat brings out the sparkle in this polish and prefer it with the topcoat. 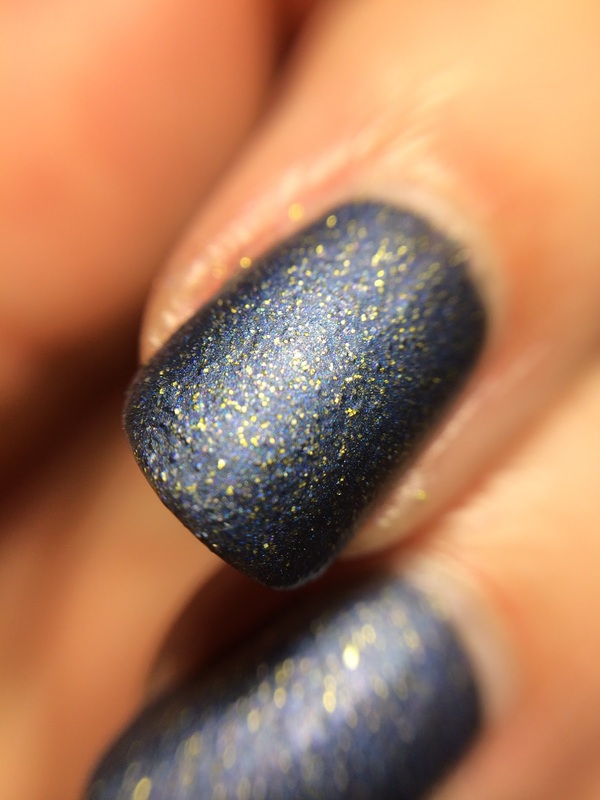 I am kind of an oddball right now with Matte being in and not really liking the trend, but thats what topcoat is for!